Thanks Minneapolis – See You Again! 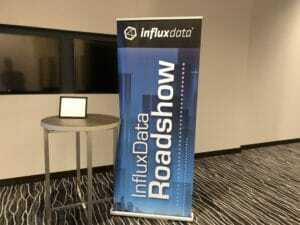 We just finished up our inaugural InfluxData Roadshow event in Minneapolis today, and we really enjoyed meeting everyone who joined us. Mark Herring, CMO at InfluxData, kicked off the morning with a review of the company’s vision and shared some insights into some of our latest customer case studies. They range from a secure email provider gaining GDPR compliance with InfluxDB & Kapacitor, to a biomass plant with an Industrial IoT use case, and finally, a review of retail giant, Wayfair, giving their Real User Monitoring (RUM) a major upgrade and migrating from their legacy Graphite backend to InfluxDB. Founder and CTO, Paul Dix, then followed with an in-depth review of the roadmap followed by an update to Flux, the new query language that he and the team have been working on. The second half was led by Anais Dotis-Georgiou, one of our Developer Advocates, who provided a training on InfluxDB and Architecting InfluxEnterprise. 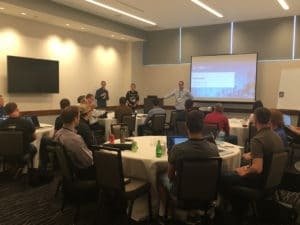 We built these sessions with a focus on educating and enabling our users to instrument and automate any system, application and business process across a variety of use cases. The team is still on the road, and there’s plenty of time to register for the next three hot spots of Austin, Seattle, and Denver. And let us know if you want us to come to your city! Here is the link to register and get more details. Get ready Austin, here we come!